Kealakekua Bay is one of Hawaii’s most splendid jewels. Its beauty, history, and ability to be engaged are all fantastic. The Captain Cook Monument is here to commemorate Captain James Cook’s landing, events after landing, and death at this very spot. Captain Cook came ashore here during his discovery of the Hawaiian islands. The area the monument rests on is known as Ka’awaloa. At the time of Cook, Ka’awaloa was a seat of Hawaiian royalty and the location of the king. 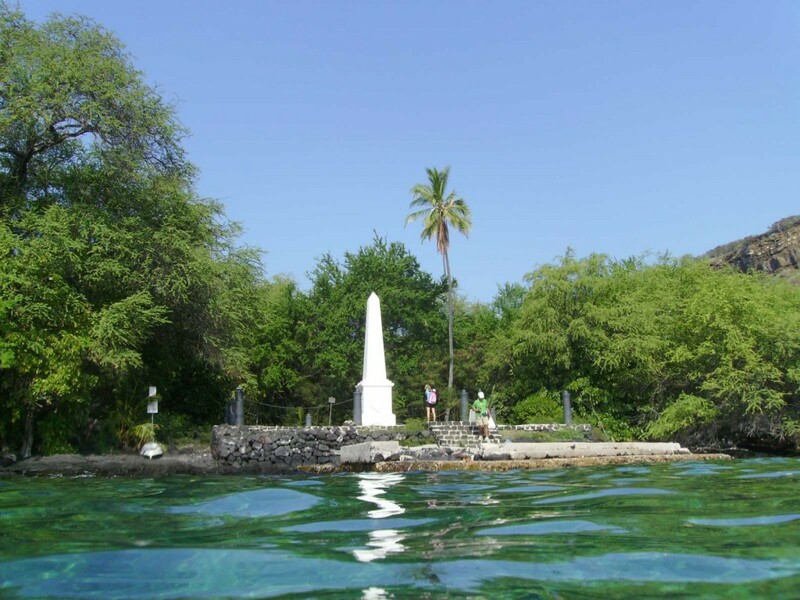 Today, Ka’awaloa and Kealakekua Bay are used mostly to view the vibrant reef along the shoreline, and to remember the historic events that took place here. The area is a marine life conservation district, which means activities there are restricted and monitored to keep the reef and ocean healthy and looking great. Visibility underwater in front of the Captain Cook Monument is often 200 feet or more. The reef teams with fish and is made up of several hard corals, particularly cauliflower coral.